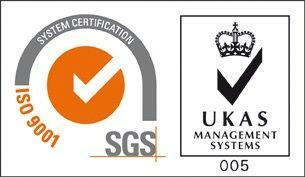 Masterflex are pleased to announce that they have successfully completed their ISO 9001-2008 re-certification audit. Maintaining a high quality is important, making sure that every order produced on site is manufactured to the best standard. When you see the Masterflex Brand, you know you are getting good customer service, quality and a reliable products. Our product range include Flexible Hoses and Flexible Ducting for a wide variety of applications through industry. Specialising in Polyurethane Hose and Ducting, our brand names Master PUR and Flamex are recognised world wide. This entry was posted in Antistatic & Electroconductive hose, Automotive - Motor sports / F1 / Boats / Rail, Charity and Other, Chemical - food & pharmaceutical, Dust & Fume Extraction, Environmental, High Temperature Hose, HVAC - Heating, Ventilation and Air Conditioning, Materials Handling - Plastics, Rubber , Powders, Microbe & Hydrolysis-Resistant Hoses, Paper, Printing and Packaging, Plastics, Street cleaning leaf and grass collection, Uncategorized, Woodworking Industry and tagged abrasion resistant hose, Dust extraction hose, Flexible ducting, flexible hoses, Masterflex technical hose ltd, Masterflex technical hoses ltd, Polyurethane ducting, PU DUCTING, PU hose, PUR hose. Bookmark the permalink.